It is hard to imagine Australian psychedelic rock band King Gizzard & the Lizard Wizard doing anything other than making music. How, otherwise, can a band manage to put out 5 albums of intricately composed psych-rock within a single year? Add to that the consistence of quality of their releases. Polygondwanaland, the band’s 4th project from 2017 and our album for today, sees the band taking a detour from their usual sound. 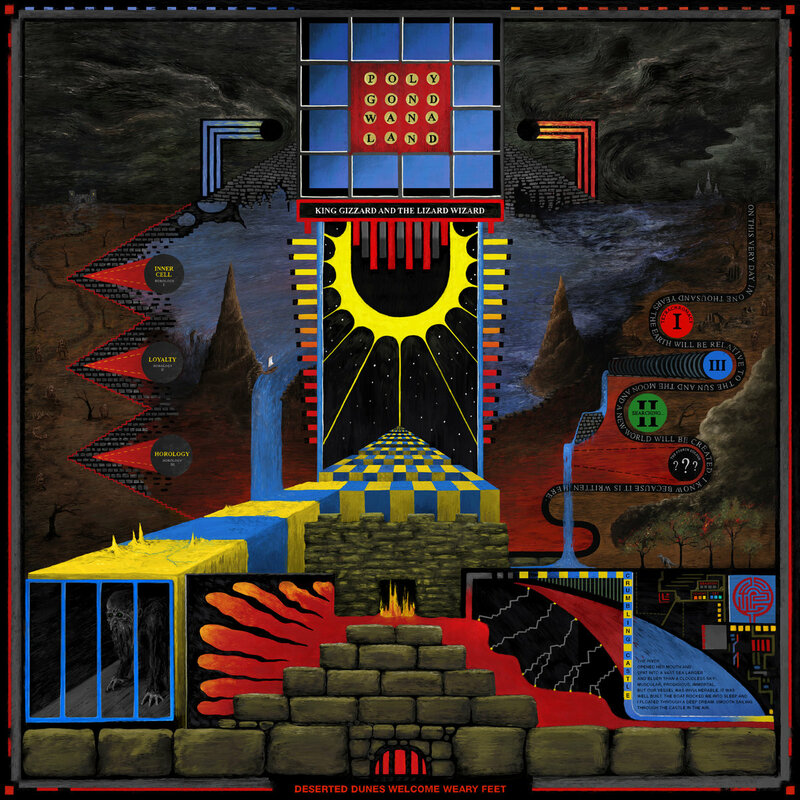 While King Gizzard’s previous records put the spotlight on guitar-heavy prog-rock, Polygondwanaland takes a lighter, more atmospheric approach. The band includes woodwinds, synth-arpeggios and vocal harmonies in their arsenal this time around to immerse us in an ethereal ambiance. The 11-minute opener Crumbling Castle is easily the record’s most complex and eclectic offering, with its painstakingly detailed composition and solid instrumental performances. As the track ends, however, the albums turns to a more easy-going sound. There are soothing Pink Floyd-esque melodies, fiery guitar riffs, pulsing grooves and acoustic folk-rock passages but the band ensures the album sounds cohesive and tied together. The tracks seamlessly fade into each other, making the record seem more like a single, epic composition rather than a collection of pieces. Whether you’re looking for nerdy, technical psych-rock or just something to space out to, Polygondwanaland is an interesting listen.